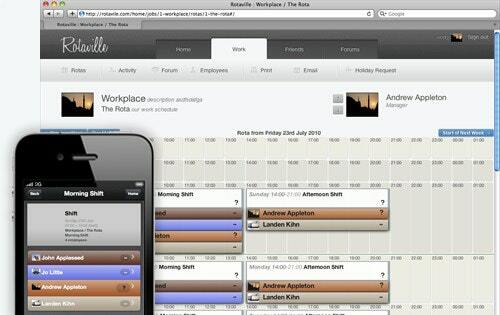 Rotaville is Next Generation Employee Scheduling Software for managing your Staff Rota. 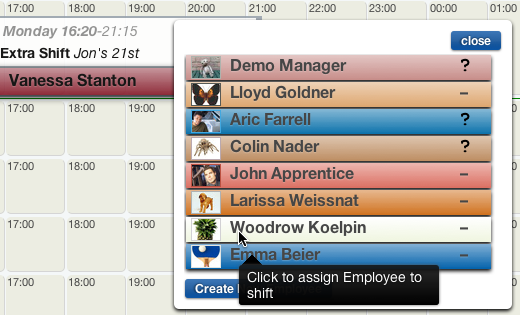 Using the latest technologies Rotaville goes above and beyond existing Employee Scheduling Software systems. 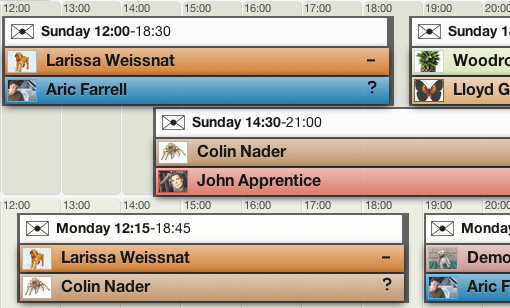 Other scheduling solutions typically use a grid of confusing fields and cells that are often impossible to understand and cross-reference. 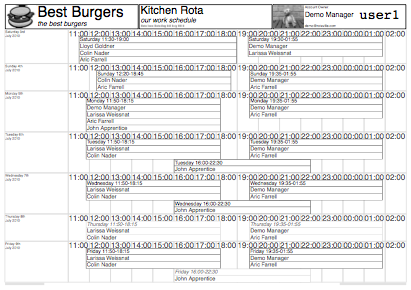 In a clear and simple way, the Rotaville Rota Web UI and PDF Printouts use a normal calendar view to show when shifts and employees are scheduled. 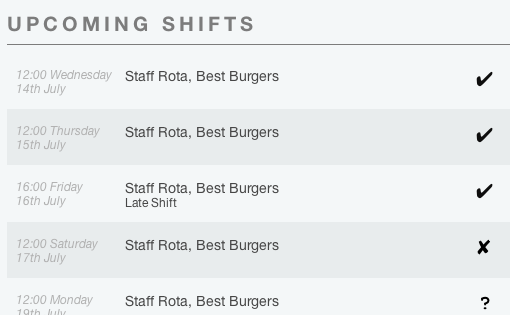 Using the interactive Rota Web UI a busy rota manager can quickly plan whole weeks of shifts and staff assignments with just a few mouse clicks or keystrokes. The Mobile Site allows employees and managers to remotely access the Rota from their iPhone, Andriod, or Windows Mobile device. 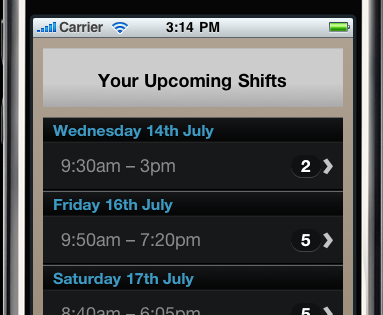 The iPhone App for iPhone, iPod and iPad is available from the App Store. And the Android App is available from Google Play. Rotaville is based in London, UK. Our staff and customers can be found worldwide. Get Started Now Free Trial! See more news in the Rotaville Announcements forum. Follow Rotaville on our Twitter page, Facebook page and YouTube Channel. 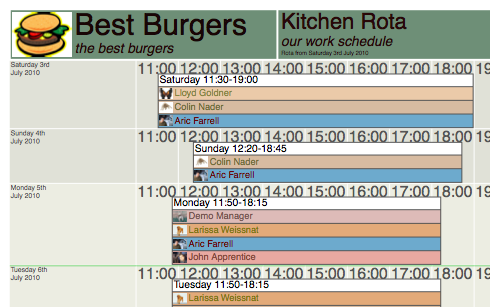 Visit our sister site Big.first.name Name Tag Software for the biggest and best name badges! Here are some samples of the Rotaville Logo and the Rotaville R-Logo.